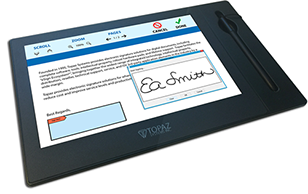 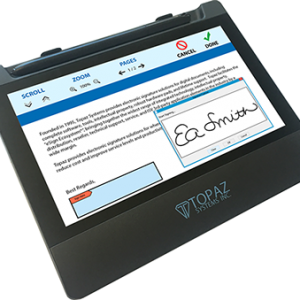 The Topaz GemView™ 10 Tablet Display provides all the display advantages of a high-performance tablet with none of the IT drawbacks. 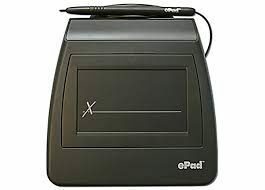 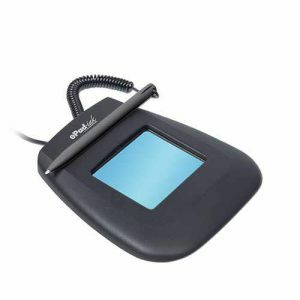 With its half-page, 10.1″ diagonal, high-resolution display and electronic pen, the GemView 10 allows for signing documents, playing videos, running ads, and much more. 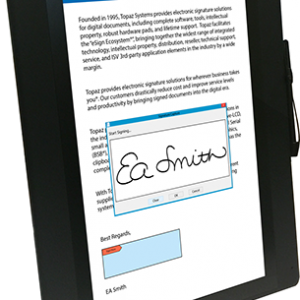 GemView 10 Tablet Displays come bundled with pDoc Signer for PDF signing and fillable-form creation, and pDoc Pro eSign System, providing a means to push PDF documents to a Topaz GemView Tablet Display, PC client, and more.